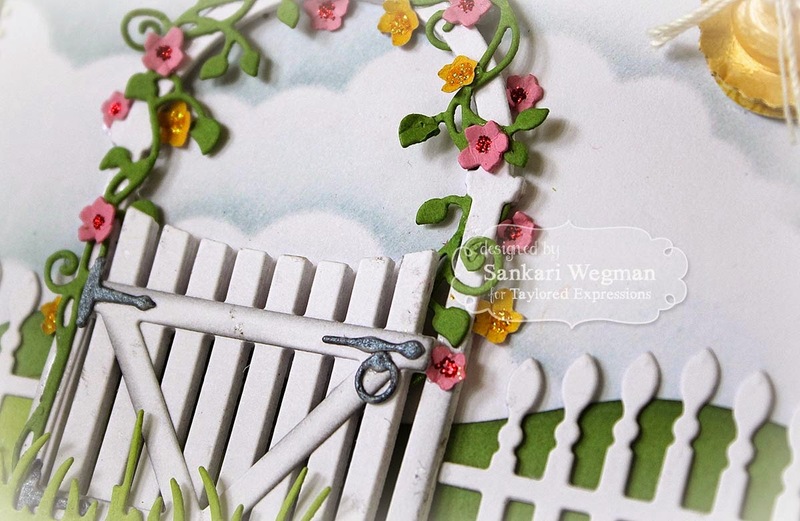 I used the new Arbor Accessories, Garden Arbor & Gate and Arbor Fence dies that all go so beautifully together to create this card! LOVE them! I also created a scene with some Rolling Hills dies, Cloud Border dies and Wispy Grass dies - so fun to make!! Loved making this sweet garden spring card (esp in the freezing rain that we have been having!!) and I can't wait to see what everyone on the TE team has created with all of these goodies! So pretty Sankari. Love the elegant arch with the pretty flowers and the fence... the clouds look amazing. Just stunning, Sankari! I want to live there (and for the weather to warm up too)!! Hugs! WOw... Look at thoes clouds... How do you make them look so real, I'd love to see how you do that!!! !